Throughout your life, approximately one third of your time will be spent asleep. For many, hip pain at night or in the morning can be even more severe than back pain. 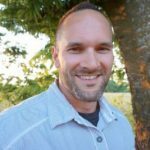 So what are the causes of hip pain and is there anything you can do to minimize the pain? There are several reasons your hips might hurt in the morning or during the night. Some of these reasons are merely a matter of lifestyle, while others are medical in nature. The following are a few of the more common sources of hip pain. While this is more common with age, younger people may develop arthritis as a result of strain or disease. Some forms of arthritis will attack the hips, and these are usually treated with capsaicin or medication. Keeping good alignment at night can also help. Your body contains small, fluid-filled sacks called bursae which act as cushions for your joints. Bursitis is a condition where these sacks become inflamed, resulting in pain and other symptoms. 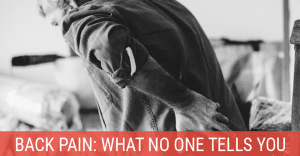 The pain tends to fade after a few weeks of treatment, which includes resting the affected joint, although bursitis is known to be a recurring problem. Whether you’ve been out for a run or have hit the gym, it’s important to stretch properly. Your muscles act like rubber bands and tend to tighten after strenuous exercise if you don’t perform a cool-down routine. A good warm-up will also reduce the risk of torn or strained muscles. Poor sleeping may also cause your muscles to become stiff. This condition is temporary, but also preventable. A good heating pad does wonders. That old mattress you’re sleeping on where you feel every spring is a prime suspect. A new mattress that is either too firm or too soft may also leave you sore in the morning. Proper alignment will only do so much when faced with a poor mattress, and your hips will often be the first to complain. Most people who sleep on their side probably have a mattress that’s too firm. If the mattress is in good condition, adding a high quality mattress topper is a great way to add some extra cushioning to reduce hip pain (as well as shoulder pain). This condition may be very painful, but it is usually treated without surgery. Sciatica occurs when part of the sciatic nerve near the base of the spine becomes compressed by a bone spur, herniated disk, or similar problem. As the sciatic nerve carries signals from the spine to the hips and legs, sciatica can cause severe pain or even numbness, usually on only one side of the body. While a majority of the population sleep on their side, the position is terrible for maintaining good alignment. Stomach sleepers suffer similar alignment issues, mainly with the spine. 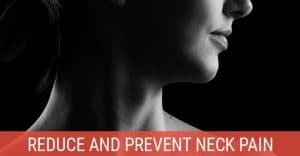 Conversely, back sleepers mostly have problems with neck alignment. However, a side sleeper must confront alignment issues in the neck, shoulders, spine, and hips. Even if you don’t suffer chronic hip pain, sleeping without good alignment can lead to stiff muscles or hip pain in the morning. 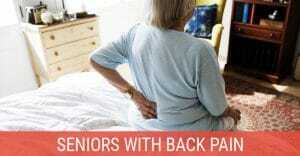 Be sure to check out our tips for sleeping with back pain which also help hip pain. 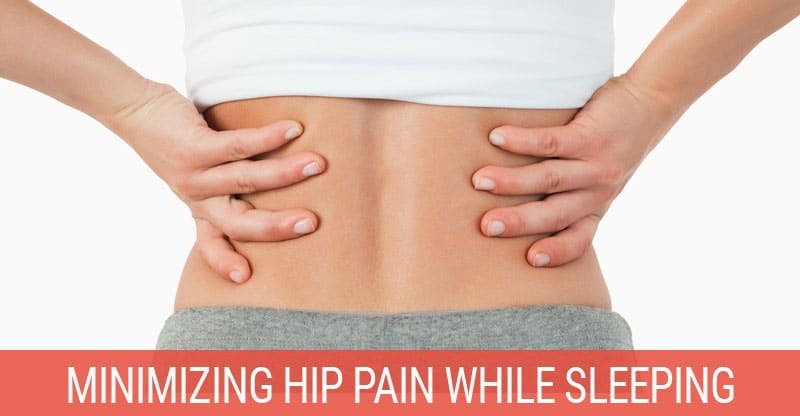 While sleeping on your back is best for combating hip pain, it is possible to create good hip alignment when on your side. The easiest way to achieve this is to place a pillow between your knees. Some people use throw pillows, but you may find a regular-sized pillow is less likely to slip if you change positions. Thinner pillows such as those recommended for sleeping on your stomach are ideal. You may also want to try putting a rolled up towel under the small of your back if it helps. Another important consideration is weight. Heavier pillows may impact your circulation, making them counterproductive. Lighter, softer pillows are preferable, and provide more comfort than overly firm alternatives. These pillows might work great for your head, but can be terrible for your hips. Often considered a pillow only used by women, body pillows are used by both sexes to provide both support and comfort along their entire body. One end is used to support the head, while the other fits easily between the knees to ensure proper hip alignment. Many users then wrap their arms around the middle section while they sleep. Body pillows come in numerous sizes, and many are U-shaped. Even back sleepers can benefit from them, and they tend to move with you as you sleep. This means changing positions in your sleep won’t dislodge the pillow or wake you up. Body pillows are excellent for not only reducing pain caused by sciatica or pregnancy, but can also help prevent general soreness in the morning from improper alignment.